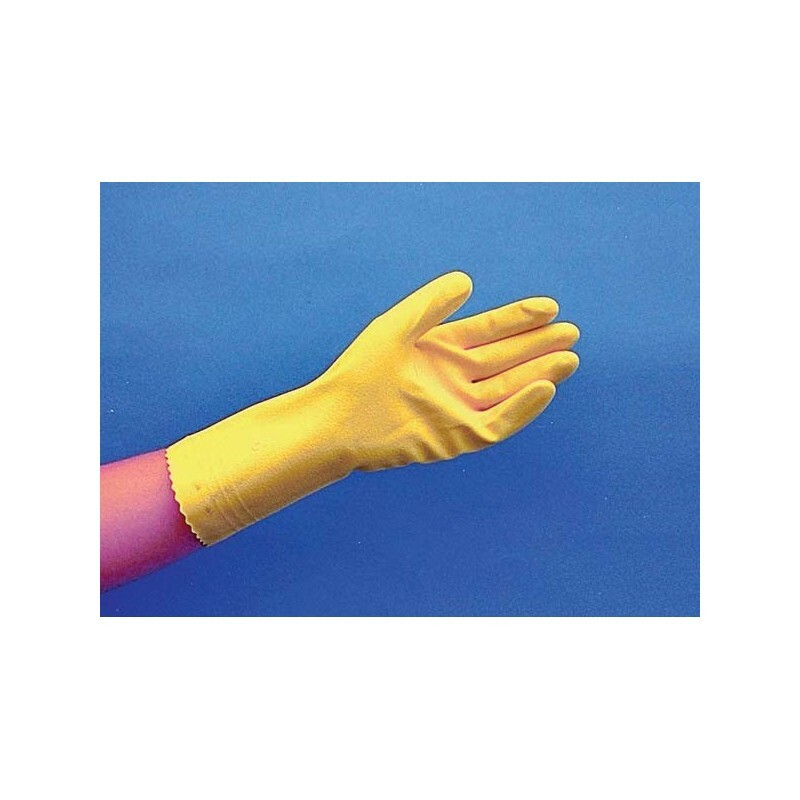 SAF-T-CURETM FLOCK-LINED LATEX GLOVES are recommended for use with formulations and solvents such as acetone, alcohol and MEK. 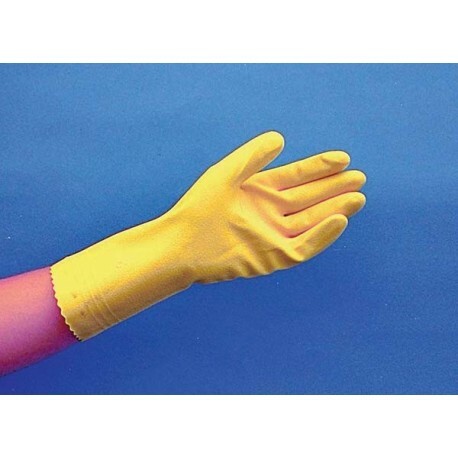 18 mil solvent-resistant latex allows for longer term use and easy manipulation. Flock lining is comfortable, durable and keeps hands dry. Protects to the forearm and can be easily removed. 12 pairs/pack, 12 packs/case. MEDIUM USE: Intended for clean-up longer than 20 minutes, but less than 3 hours. Recommended for use with formulations and solvents such as acetone, alcohol, and MEK. ACETONE, ALCOHOL, EPOXY RESINS, ETHYL ALCOHOL, FORMALDEHYDE, FORMIC ACID, GLYCERIN, HYDROCHLORIC ACID 37%, HYDROGEN PEROXIDE, ISOBUTYL ALCOHOL, KETONE, METHYL ETHYL KETONE (MEK), MINERAL SPIRITS, PHENOL, PINE OIL, PLATING SOLUTIONS (CHROME), POTASSIUM HYDROXIDE, PROPYL ALCOHOL, SODIUM HYDROXIDE, WATER-BASED INKS.